“Eating meat sounds so restrictive only to those who are behind the veil. Once that veil is lifted, one realizes that this really is the only way to be free of restrictions.” – Margot, 9/09. I guess it’s time to defend Zero Carb Health (ZCH) and Zeroing in on Health’s (ZIOH) position on the Zero Carb Carnivore Diet. 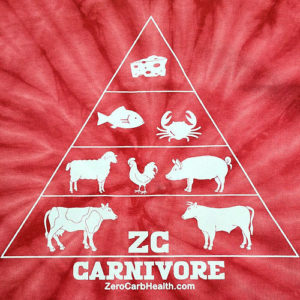 With the new surge of interest in the Zero Carb Carnivore diet, sparked by Dr. Shawn Baker and his podcast with Joe Rogan, we are seeing old familiar term’s used to describe our way of eating and specifically aimed towards the original Zero Carb groups (ZIOH and ZCH). Dogmatic, religious, narrow minded, too strict, cult, militant, zealots, etc.